5 pin-worthy wedding Instagram accounts to follow now for major wedding inspiration! Well it's no secret that Pinterest is filled to the brim with amazing wedding inspiration. But every once in a while you have to break out of the Pinterest mold and look elsewhere for wedding prettiness to incorporate into your own day. Well luckily, Instagram is here to help. 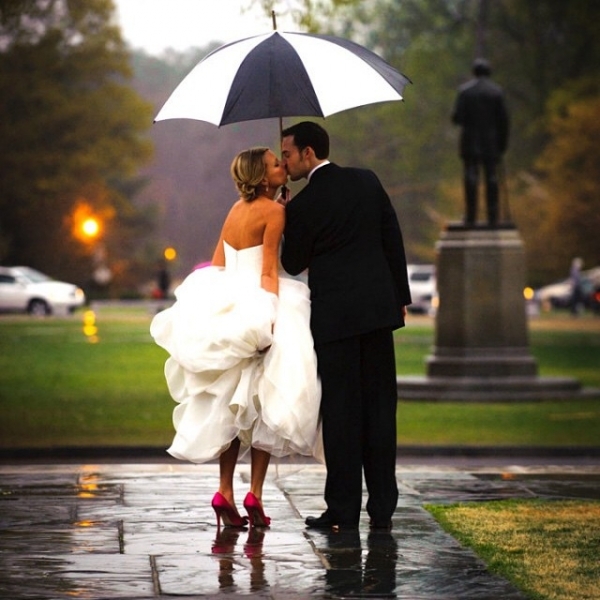 Here are some of our favorite wedding Instagram accounts to follow. Check them out to stay updated on the latest -- you won't be sorry! Looking for lovely? Look no further. The Wedding Sparrow Instagram account has non-stop prettiness that is sure to make you swoon -- from ethereal wedding dresses to jaw-dropping bouquets, you don't want to miss a moment of their gorgeous wedding inspiration! What's more gorgeous than expertly planned and styled weddings? An Instagram account that captures every moment! Follow along as wedding planner Allison Silber documents her beautifully styled weddings against the gorgeous backdrop of Northern California. Want wedding dress style from the experts? You got it. BHLDN's Instagram account is about as gorgeous as you'd expect. And it doesn't just cover wedding dresses -- you'll see every pretty facet of a stylish bride's big day. Just follow along! If there's one thing better than a gorgeous engagement ring, it's the story of how it got on a lucky lady's finger. How He Asked gives you both -- and their Instagram is fill of bling, romance, and more. But seriously. How amazing is this ring selfie? Want to be on the cutting edge of bridal fashion? Look no further than The Dress Theory. A charming wedding boutique with shops in Nashville, Seattle and San Diego, The Dress Theory stocks gorgeous dresses from the top bridal designers. On top of all that, they've got some of the prettiest wedding dress inspiration on Instagram. Follow and go crazy! Okay, so we know we said there were 5 Instagram accounts. But, we just had to throw in a bonus round: Wedding Party! We hope you're already following us on Instagram, but if not, consider this the shameless plug to get an even bigger dose of wedding inspiration daily. Who else do you follow on Instagram, brides? Let us know your favorites for wedding inspiration in the comments!